If I am wanting an abortion, why do I still need an ultrasound? Pregnancy tests do not confirm pregnancies – ultrasounds do. You can’t get an abortion unless you know you are pregnant. This is confirmed by an ultrasound scan. Abortion methods depend on how far along you are in the pregnancy. Abortion clinics usually charge for an ultrasound. Portico does ultrasound free of charge. 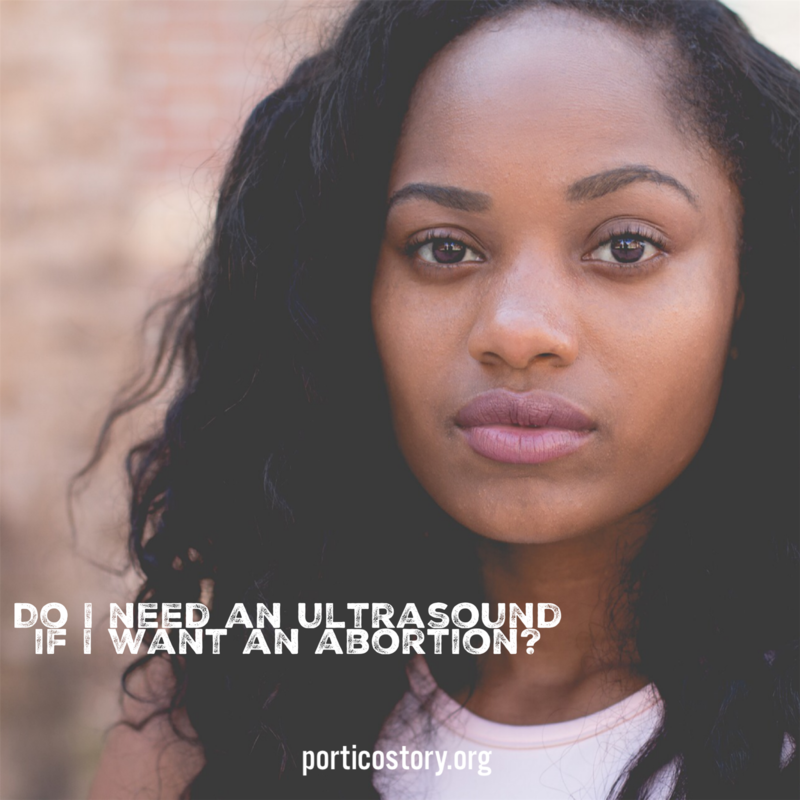 During an ultrasound appointment, clients at Portico have an opportunity to talk with a medical professional about the different types of abortion. This helps clients understand abortion procedures before they make a final decision. For more information or to schedule an appointment with us, please call Portico 615.893.0228.